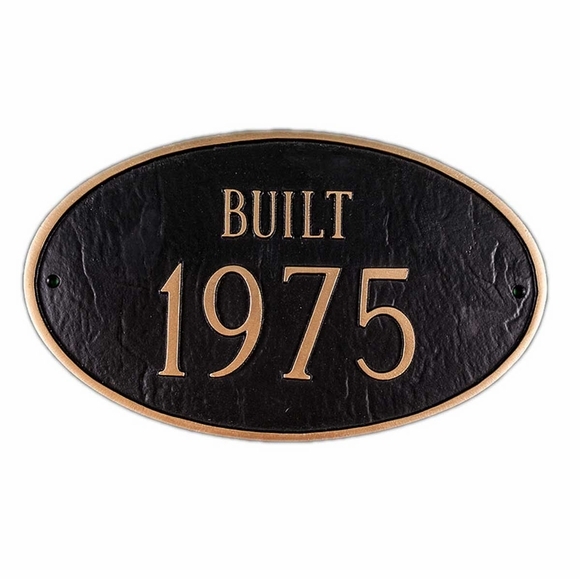 BUILT Year Historic Property Plaque - - 13.75" x 8.5" oval plaque with large 3" numbers. Made in USA. Wall mount or lawn mount options. Displays the year the home, estate, historic property, etc., was built. Please enter the year in the four-digit format shown above. NOTE: the word BUILT is standard on this sign. BUILT year on sample plaque: 1975.